I know you want an inexpensive and high quality security camera – who doesn’t? However it’s not that easy to find a high quality security camera with all required features, like high definition, night vision, wireless connection, especially when you’re in a tight budget. But no worries, there are several guidelines you may simply follow to avoid falling into the trap of “high quality security camera” commercial, and get the real best quality one! I’ll break the general question everyone can have like “which is the best & good quality home security camera” into several parts, to show you how to pick out a real high quality CCTV camera! The first thing you will require for a high quality security camera is high definition. And high resolution is absolutely an important indicator of security camera quality. Today, any high resolution security cameras can offer 4MP, 5MP even 4K (8MP) videos at highly affordable price to read license plate and human faces. Video Script: With the 5MP high quality security camera Reolink RLC-423, you can keep an eye on the naughty animals with smoothly live view stream via the software and record them in real color and fine details just like filming with your high megapixel phone. Don’t fall into the high-quality-cameras-equal-to-high-definition-cameras trap! To get real high quality security camera image, you also need to consider the security camera sensor quality, WDR feature and brightness/contract settings, which greatly affect the camera image performance. And the best way to ensure you are not cheated by the fake high quality security camera is to shop from reputable brans, like Reolink, with real reviews from customers and media. High Quality Security Camera Is Beyond the Day – Night Vision Is Important! A high quality security camera is not just for the day, but also for the night! To keep the high resolution security camera visible in low light conditions, the IR (Infrared) night vision is necessary. The high quality night vision security camera records videos in color or black and white, depending on the lightning conditions, to provide the clearest images possible. Days are gone when you have to be highly technical to wire, install, and configure a security camera, or pay for a professional security camera installer to do it for you. With a high quality wireless security camera like Reolink Argus Pro, you don’t need to worry about how to run the messy wires for power and data transmission. All you need to do is to insert the battery, and connect the camera to your WiFi in easy steps, this high quality hidden security camera will start to work. But, you know, nowadays the security cameras are much more affordable than you think, and the high quality one could only cost you like $50, if you choose the right brand. 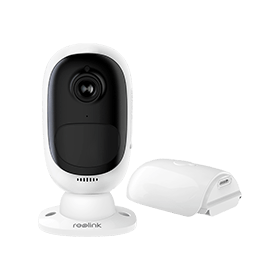 Take Reolink as an example, you can get all kinds of high quality security cameras at a wide price range with versatile features like zoom, HD, wireless connection, night vision, and more. Click here to learn more hot selling high quality security camera types. Bonus: Follow Jenny, the Reolink senior editor, to learn the top 4 practical tips to save money and get high quality security cameras. 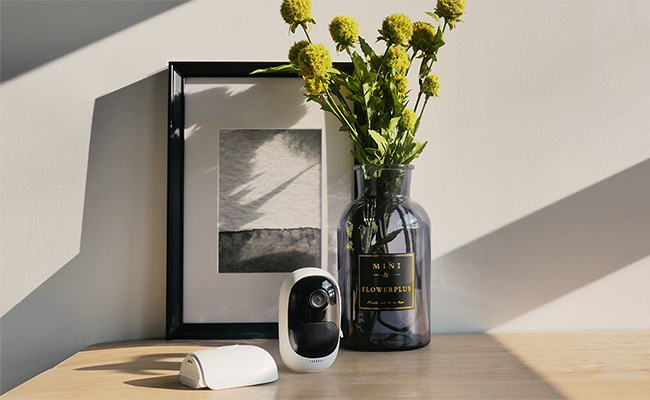 In case you want to shop the best security camera directly and don’t want to dig into the technical details, here we list two best-selling high quality home security cameras for you. You will see the reviews from the customers and tech media, and the video samples from real users. Being completely wire-free, this high quality security camera goes a step further than traditional “wireless” cameras, and needs literally NO wires at all to work. Together with starlight night vision – the enhanced IR night vision, 1080p HD resolution and two-way audio, the quality security camera easily tops the list of desired security cameras for people worldwide. (Rating: 4/5; Excellent) The versatile Reolink Argus 2 is a weatherproof indoor/outdoor security camera that doesn’t require any wires and is powered by a rechargeable battery pack. Cons: Doesn’t integrate with other smart home devices. SD card not included. Siren isn’t loud. If you are one of the many house owners taking the security camera resolution as a priority, then this high quality security camera Reolink RLC-410 will not let you down! Besides the industry-leading 5MP high definition, the RLC-410 also features quality sensors to guarantee you real best security camera videos possible. (Rating: 4/5; Excellent) Excellent performance, affordable price. 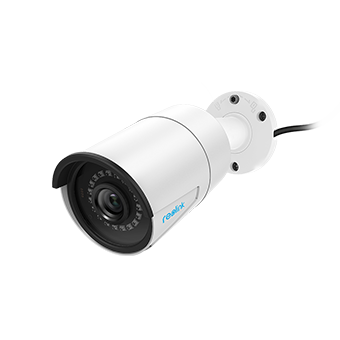 Pros: This indoor/outdoor cam can be used independently or as part of a more comprehensive surveillance system, and it provides exceptional image quality and features for the price. Cons: This camera is a fixed position one- so you can’t move it up or down, left or right. In other words, this is not a “pan and tilt”, as they’re called. If you are looking for a high resolution and high quality security camera system for home, you may add a NVR to it for local storage, or simply shop the ready-made camera systems. Check the security IP camera lens for dirt, dust, spider webs, etc. Make sure the extension cable run is in the proper range. Adjust the focus and zoom settings and make sure it functions properly. Move your security camera to a different location and avoid direct sunlight. Adjust the brightness and contract settings of the security camera. Adjust the security camera video streams to the highest for better image quality. You may also check out this post for more detailed guide to fix your security camera picture problems. This entry was posted in Buyer's Guide and tagged high quality security camera, high resolution.